We build the Modern Barn®. 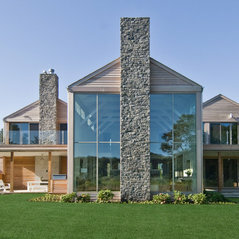 Plum Builders, Inc. was founded in 1982 in East Hampton, New York by Al and Mary Giaquinto. 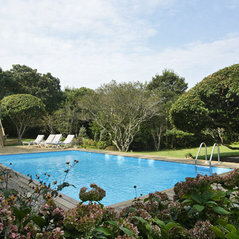 This husband and wife powerhouse that went on to build hundreds of projects in the Hamptons and central Florida. 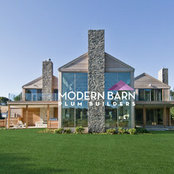 Currently, Plum Builders has developed and trademarked the Modern Barn®. 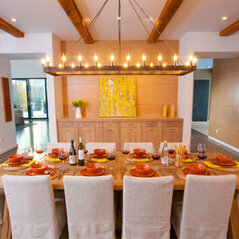 This home is a mix of modern and traditional which we believe best serves the modern individual and family. Graduate Master Builder (GMB), a Certified Green Professional (CGP) and a Certified Graduate Remodeler (CGR), credentials awarded from the National Association of Home Builders as well as an MBA in Finance. Kommenteret: Dark trim?It's wood trim. Kommenteret: Love the stairs. Who is the manufacturer?We built this staircase on site. Thank you for the compliment! Kommenteret: Heat Issue?? ?I was wondering the same thing. Maybe needs a vent.